With the Victoria Day holiday fast approaching, developers will have their hands full this weekend with all the launches, openings and events they need to cram in before things quiet down for the long weekend. Get out there this Saturday and see what some of the coolest new developments across Canada have to offer. The Castles of King City by Zancor Homes: Final Release, Saturday 11-5, 37 Sim Hill Crescent, King City. Val Homes on Valermo Drive by Urbancorp: Preview Opening, Saturday 11-5, 300 Palermo Drive, Etobicoke. 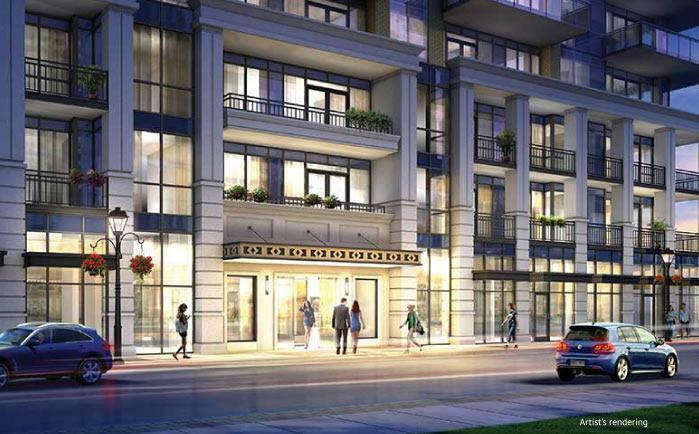 East 55 Condos by Land Development Corp., Hyde Park Homes and Fortress Real Developments: Grand Opening, Saturday 11-5, 53 Ontario Street, Toronto. Blackstone Towns by Monarch: New Release, Saturday and Sunday 12-5, Westphalian Avenue, Stittsville. Emerald City by Elad Canada: Spring Blooms, Saturday 12-5, 70 Forest Manor Road, North York. The Berkeley Condominiums by Carriage Gate Homes (pictured above): Launch Party, Saturday 1-4, 2107 Old Lakeshore Road, Burlington.